One of the most popular sayings among digital marketers today is “Content is King”, and for good reason. After all, it can mean the difference between attaining a low or high organic ranking in the search results. However, don’t make the mistake of writing exclusively for search engines! While SEO ensures you outrank your competition, the type and quality of the content you create will generate greater authority and awareness for your dealership. In 2017, consumers expect you to deliver quality information, which means you can’t get away with generic content anymore. The most effective automotive SEO strategy is to focus on providing value to your audience and stop trying to discover a way around Google. While car lovers will appreciate the engineering genius and rarity of an automobile regardless of the brand – let’s face it Chevy dealers, for instance, will want to take away as much business as possible from Ford dealers. Keeping this in mind, how do you show that your dealership’s brand is superior from that of the guy down the street? A great way to show car buyers which dealership is the better choice is by creating quality content to prove it. For instance, Toyota really doesn’t need to market its Camry because it can rely on its reputation to sell itself. So, if you are a Chrysler dealership, how do you persuade car buyers that they need to buy the 2016 Chrysler 200 instead? Well, all you have to do is create a page on your dealership’s website titled “2016 Chrysler 200 vs. 2016 Toyota Camry.” Discuss the features and capabilities of both models s in a comprehensive manner, and explain – with appropriate reasoning – why you think mid-size car buyers are better off buying the 2016 Chrysler 200. Furthermore, you should also link these pages to the main inventory pages throughout your dealership’s website and make sure to share them regularly on the right social media channels to generate buzz and boost your results. The most effective automotive SEO strategy is to create relevant and high-quality content for a multitude of purposes. 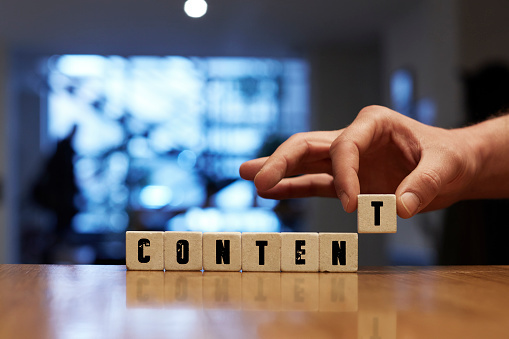 If done correctly, informative content is powerful and will provide you with a steady flow of traffic, while building your website’s search engine authority. In these times, however, what looks good sells good, so you should also look to entertain your audiences. In addition, what could be a better way to do that than by creating galleries full of high-quality photos of different cars? This, though, doesn’t necessarily mean you should post pictures of exotic sports cars costing over $200,000 on your dealership’s website. You need to come up with a creative angle that suits your inventory. For instance, you can display cars from your dealership’s brand that have been featured in popular movies and provide a little backdrop for each appearance. Another way would be to create a list of “The Top 10 Most Least Expensive Cars from [your dealership’s brand]. There are many different angles you could take so take your time and make sure to keep the variety coming. Don’t think the primary function of your dealership’s website is only to sell and service cars. Instead, think of it as a resource for everything that is related to the cars you sell as well as the add-on services you provide. If you are able to create content that would qualify as a resource, you can improve your organic search rankings, which will not only drive traffic to your content, but also boost the rankings of your website as a whole. How to protect a car from rusting? How do you change oil in cars? Should I lease or buy a new car? An effective way to show Google that your website is active and providing unique and fresh information to visitors regularly is by posting brand-related news on your blog. After all, your dealership’s brand is awesome, isn’t it? So, talk about promotions, new models and other exciting news that potential customers or car enthusiasts might find interesting. For instance, it’s a great time to work with Dodge. The brand has been focusing on performance cars and is about to unveil its highly anticipated 2017 Challenger SRT Hellcat next year. Since car enthusiasts everywhere are looking for every bit of information they can find about the Hellcat, shouldn’t you be capitalizing on this opportunity? One way to do that is by creating a page on your dealership’s website called “Countdown to the 2017 Challenger SRT Hellcat”. While the actual release data isn’t known as of yet, you can update it once it’s available. Meanwhile, use this page as the premier resource for the latest information about the latest Hellcat. You should try to post as many unique blog posts as possible and with each update, make sure the page across your social media profiles so that your fans and potential customers can see that your website is a valuable and authentic source of information. Videos are a great way to show people who want to see more of a car before making a purchase. It, however, only serves that purpose. Consider creating some original video that goes beyond the walkthrough world/ordinary pictures of automotive dealerships and spice things up a little. What does the new 2017 Challenger SRT Hellcat sound like? What new, innovative feature you can show off? Did you know many cars come equipped with cooled and heated cup holders? People would like to know things such as theses! Every automotive dealership out there has the ability to go beyond and above what’s expected from a dealership website. You will get to see results, as long as you are adding value to the experience of your users!